Aloha! When I was in the Army my husband and I were stationed in Hawaii. We loved eating the local foods and we would go out every weekend for breakfast before heading to the beach on the Island of Oahu. 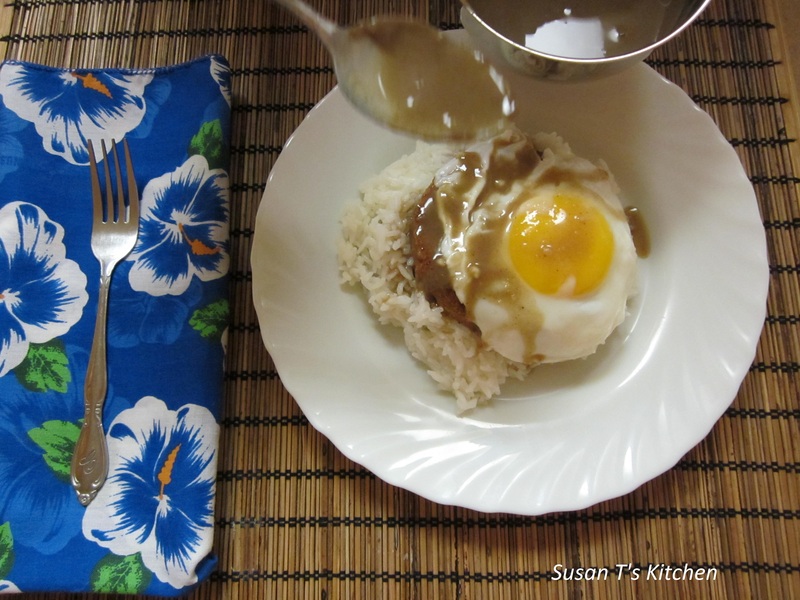 My husband would have the Loco Moco, a Hawaiian style dish, which is a hamburger patty, fried egg, and brown gravy on a bed of rice. There are many variations, but this version is the most popular. I came up with my own version of the Loco Moco which is a vegetarian patty topped with a fried egg and vegetarian brown gravy on a bed of rice. Oh this is so Ono! Mahalo! Rice: Ahead of time cook rice according to package directions either stove top or in a rice cooker. I like using a rice cooker your rice will be perfect every time. Burgers: heat frying pan until hot and cook the veggie burgers. Once cooked place burgers on the side. 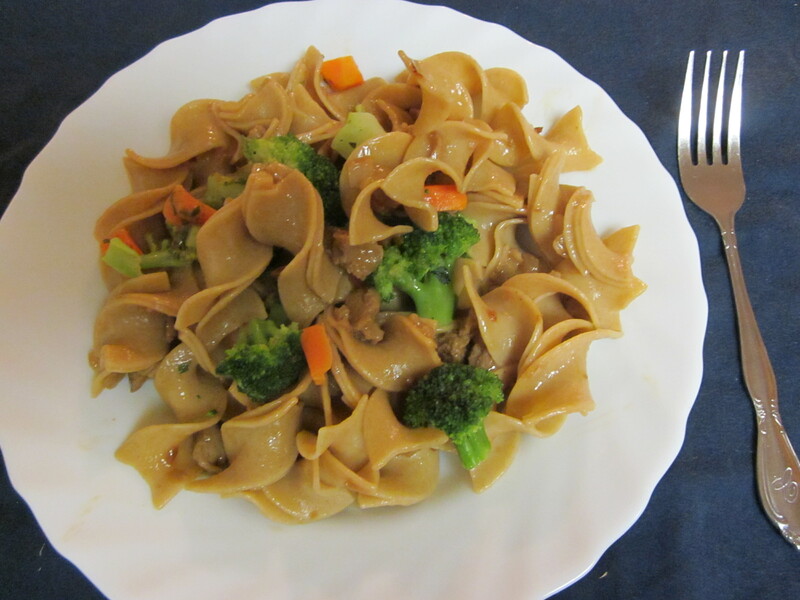 Gravy: Pour the can of vegetable broth into the pan that the burgers were cooked in and bring to a boil, lower the heat to a simmer and add a couple of dashes of soy sauce. In a bowl whisk the cornstarch with 1 tbsp. 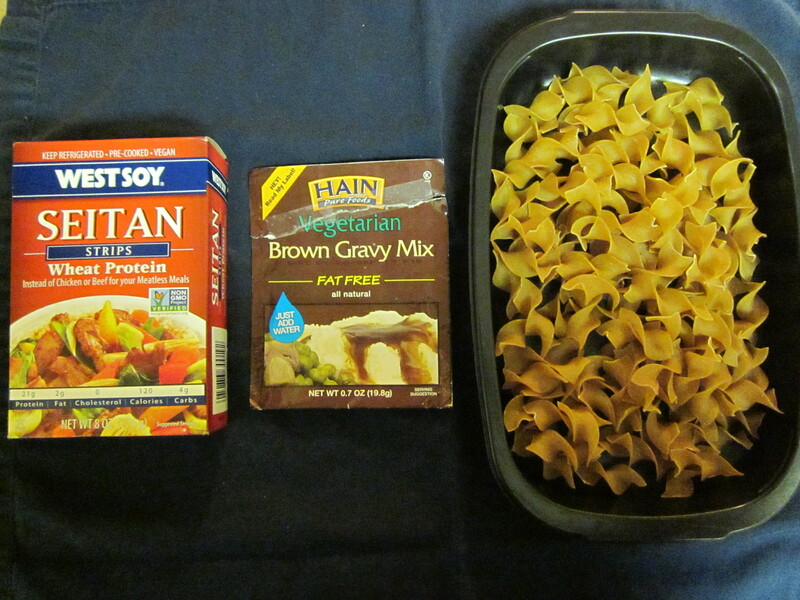 of water to make a smooth paste and slowly whisk in the corn starch mixture until the gravy Is thick and smooth. Add the margarine and season with salt and pepper. Turn off the heat and cover to keep warm until ready for use. Eggs: Traditionally, the eggs are sunny-side up, but you can flip your egg if desired. Salt and pepper the eggs. Assemble your dish from bottom to top: 2 scoops rice, the burger, the egg and pour the gravy all over.